Essay writing is an essential skill that all students need to develop in order to survive, and thrive in, school and beyond. 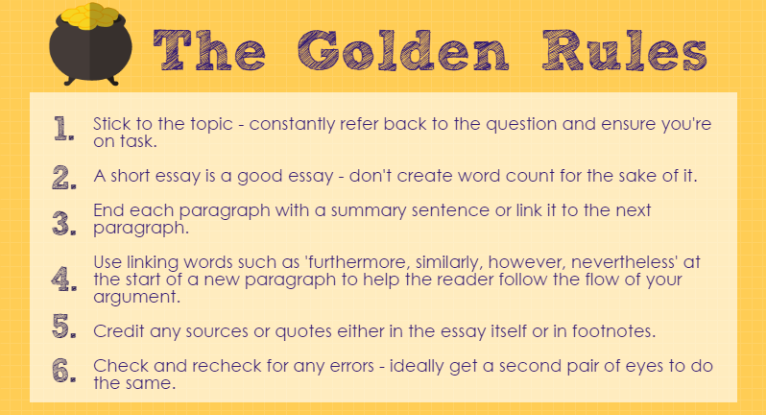 Follow our nine steps to essay success. Nail the question. It sounds obvious, but if you don't REALLY understand the question, you're doomed to fail before you even put pen to paper (or fingers to keyboard). If you have any doubts whatsoever about what your teacher wants, double- and triple-check with them before you start. Create a skeleton. Break the question down into parts to create an outline of your essay. Make sure all the points in the question are included in your outline. Need some help with this step? 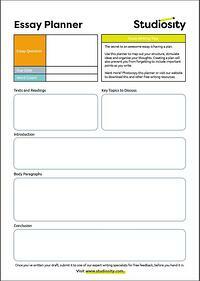 Grab a free copy of our essay planning template on this page. Research. Gather as much information as you can about your topic. Use the library, research online (using lots of different authoritative sites), speak to people you know, gather interviews. Brainstorm. Ask yourself a whole heap of questions about the topic. If you're used to creating mindmaps, this is the time to use one. Allow your mind to travel broadly on the topic to stretch yourself beyond what might usually be expected. Then, when you've got all your questions, use more research to answer them! Body build. In point form, start to put some muscle on that skeleton you built earlier. Don't start writing yet, but using all the notes you've taken in your research and brainstorm phase, plan out the main arguments you'll include in each paragraph. Your essay body. 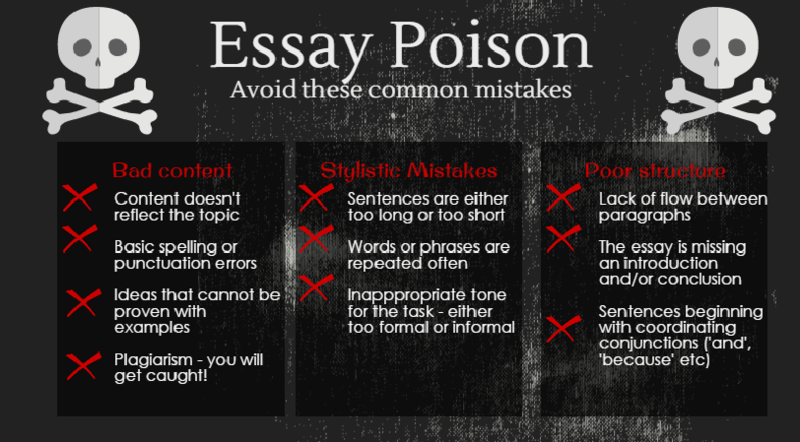 Each paragraph in your essay should deal with a separate insight. Start each paragraph with a topical sentence, then support that topic with the evidence or reasoning found in your research phase. The conclusion. Wrap up your essay with a quick summary that holds up your arguments one last time. Some students like to end with a memorable thought such as a quotation or call to action - but make sure it's relevant, and that you attribute it correctly. Finally... the introduction. It's much easier to introduce something AFTER you've written it. Use your introduction to outline the points asked in the question, and describe how your essay addresses these points. At Studiosity, we want your words and ideas to be heard, to be understood and to be valued. Every day, our English specialists help hundreds of students construct arguments, develop creative skills, improve grammar and punctuation, and much more. It’s easy to get started. Simply upload a written draft to us, and within 24 hours we’ll send it back with detailed feedback on how to make it better.